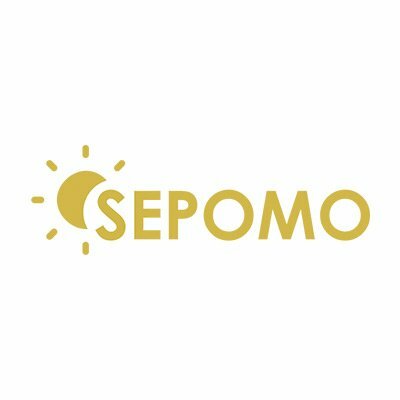 SEPOMO stands for Spins for Efficient Photovoltaic Devices based on Organic Molecules. The mission of the network is to bring the field of organic solar cells forward, to train early-stage researchers for a career in this field by doing exciting research and training activities, and to promote the worldwide position of Europe in the field of organic electronics. The project is coordinated by Rijks Universität Gröningen (The Netherlands) and the ICMAB and Eurecat, from Spain, are among the participants. Francesco was born in Rome, Italy, where he obtained both his Bachelor’s and Master’s degrees in Materials Science at Università degli Studi di Roma Tor Vergata. After that, in 2015, he joined the group of Prof. Franco Cacialli at University College London, UK, as an Early Stage Researcher (ESR) in the European Innovative Training Network (ITN) named OSNIRO (Organic Semiconductors for NIR Optoelectronics). His 18-months position was dedicated to the selection of new organic NIR sensitive absorbers and the optimization of organic photodiodes. Later on, in September 2017, he started his PhD in the group of Physical Chemistry of Surfaces and Interfaces at the Institut de Ciència de Materials de Barcelona (ICMAB), headed by Dr. Esther Barrena and Prof. Carmen Ocal. His current position at ICMAB is an ESR position in the ITN SEPOMO (Spins in Efficient Photovoltaic devices based on Organic MOlecules). 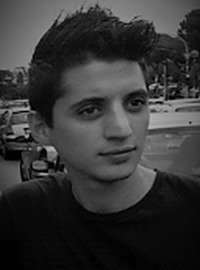 The general basis of the work in SEPOMO is to achieve a better understanding of the effects of spin-dependent processes in organic solar cells and subsequently find ways to deliberately tune the spin-dependent mechanisms involved in light harvesting.In particular, the specific focus of his research is tackling the connection between structural/morphological properties, optical properties and performance of organic photovoltaic devices; the morphological picture of the active materials will be complemented using different techniques such as x-ray diffraction and scanning probe microscopy. These investigations will provide detailed information about the structural properties in regards to morphology, crystalline order, orientation, length scale of separation of domains. The combination of these techniques is fundamental to establish structure-property-performance relationships that guide the synthesis and optimization of the materials and serve as input for the simulation of the active layer morphology. His PhD thesis is supervised by Dr. Esther Barrena from ICMAB-CSIC. This project will address the role of the microstructure on the charge separation dynamics and degradation of OSCs. The researcher will carry out a structural and spectroscopic investigation on novel tailor-made donor materials for enhancing the photovoltaic performance. The researcher will receive specific training in structural and morphological methods (using local-probe and synchrotron-based techniques) at the Institute of Materials Science of Barcelona (ICMAB-CSIC, Spain) and in time-resolved spectroscopies at Technische Universität Chemnitz (TUC, Germany). The central part of the work will take place at the ICMAB-CSIC in Barcelona, a research organization located on the Campus of the Universidad Autonoma de Barcelona that belongs to the centers of Excellence “Severo Ochoa” in Spain. There are planned secondments of 4 months at TUC (Chemnitz, Germany), 3 months at Rijksuniversiteit Groningen (RUG, Holland) and 2 months at Fundacio EURECAT (Barcelona). A complete training program will include participation in 4 specialized network schools on organic Solar Cells and in 5 training workshops on complementary and transferable Skills. Rana is a physicist who is currently pursuing her PhD under the supervision of Dr. Eugenia Ferrero, Dr. Marco Stella and Dr. Mariano Campoy at the Eurecat Centre Tecnològic, Mataro, Spain. Her interests focus on upscaling OPV devices using a roll to roll technique. 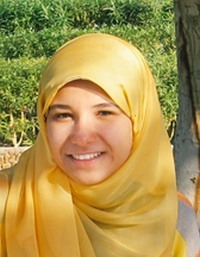 She obtained her Master`s degree in Physics in 2017 at the Ain Shams University in Egypt where she studied polymer applications in photovoltaic solar cells. Her PhD thesis is supervised by Dr. Eugenia Martínez-Ferrero and Dr. Marco Stella from Eurecat, and Dr. Mariano Campoy-Quiles from ICMAB-CSIC. 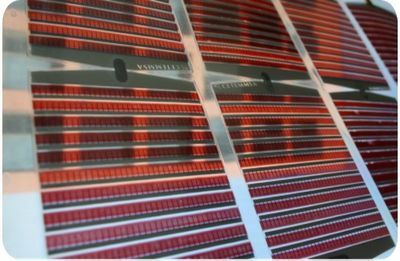 The aim of this project is to fabricate organic solar cells by means of high throughput solution processing methods in order to test the scalability of the synthesized materials and approaches. This will be achieved by working with inkjet printing, screen printing, blade coating and/or slot die coating, deposition techniques that are popular among the printing industry. The researcher will develop and characterize operational inks, correlating rheology, kinetics and energetics of deposition with the structural properties of the corresponding layers. Full devices, as the one shown below, will also be fabricated and fully characterized. The expected results are processing of conventional and novel compounds prepared within the SEPOMO project by pre-industrial deposition methods, establishing design rules and processing protocols for such compounds. In addition, the solar cells will be prepared on large areas, tackling the construction of modules.The researcher will develop their work at Fundacio Eurecat and the Material’s Institute of Barcelona (ICMAB) both located near Barcelona (Spain). Eurecat is the major Technology Centre of Catalonia where 450 experienced professionals develop their work (www.eurecat.org/en/). The research will be carried out in the facilities at Mataró (30 km north of Barcelona) that include laboratories where main OLAE technologies (Photovoltaic, HyLED, EL, flexible batteries, …) based on Printed Electronics are available. The staff has a strong expertise in material formulation for coating and printing techniques, integration and deposition techniques, as well as in the development of flexible organics photovoltaics. On the other hand, ICMAB complements the facilities available to the ESR by providing additional characterization tools (specifically spectroscopic and microscopic), fabrication (including a 200m2 clean room) as well as advanced device characterization. ICMAB, an applied research institute that belongs to the Spanish Research Council, has recently received the Severo Ochoa distinction for Excellence in Materials Research.Moreover, and in order to complete the learning experience of the ESR, there are two main planned secondments. The first at MERCK (Chilworth, UK) to study the relationship between upscaling techniques and upscaling of materials; and the second in the Technical University of Dresden (Germany) for gaining additional expertise in the processing of organic semiconductor devices. Organic solar cells (OSCs) have the potential to become an environmental friendly, inexpensive, large area and flexible photovoltaics technology. Their main advantages are low process temperatures, the potential for very low cost due to abundant materials and scalable processing, and the possibility of producing flexible devices on plastic substrates. To improve their commercialization capacity, to compete with established power generation and to complement other renewable energy technologies, the performance of state-of-the-art OSCs needs to be further improved.The mission of the SEPOMO – Spins in Efficient Photovoltaic devices based on Organic MOlecules – is to bring the performance of OSCs forward by taking advantage of the so far unexplored degree of freedom of photogenerated species in organic materials, their spin. This challenging idea provides a unified platform for the excellent research to promote the world-wide position of Europe in the field of organic photovoltaics and electronics, and to train strongly motivated early stage researchers for a career in science and technology oriented industry that is rapidly growing.Our scientific objectives are to develop several novel routes to enhance the efficiency of OSCs by understanding and exploiting the electronic spin interactions. This will allow us to address crucial bottlenecks in state-of-the-art OSCs: we will increase the quantum efficiency by reducing the dominant recombination losses and by enhancing the light harvesting and exciton generation, e.g. by means of internal upconversion of excited states. Our 15 early-state researchers (ESRs) will be trained within the interdisciplinary (physics, chemistry, engineering) and intersectoral (academia, R&D center, enterprise) consortium in highly relevant fundamental (8 academic partners) yet application-oriented (3 industrial partners) research with the potential to commercialise the results. The hard and soft skills learned in our network are central for the ESRs to pursue their individual careers in academics or industry.